Vaido (Võrumaa, Estonia) on 17 August 2016 in Architecture. ... Võru linna haigla (1827). Aastatel 1833-1877 töötas selles majas linnaarstina Fr. R. Kreutzwald. Maja jäeti maha 1982. aastal, kui valmis uus haiglahoone. Minagi olen siin majas sündinud. ... Võru town hospital (1827). From 1833 to 1877 here worked Dr Fr. R. Kreutzwald as the municipal physician. He is considered to be the father of the Estonian national literature and in Võru he composed the Estonian national epic Kalevipoeg (Kalev's Son). 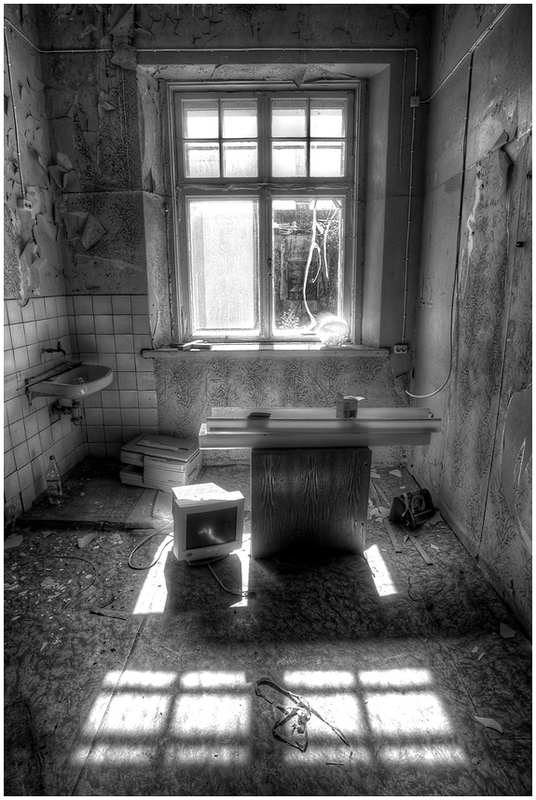 This place was abandoned in 1982, when new hospital was opened. I was born in this hospital, too. Cool old room. At first I thought prison cell not hospital. Nicely framed. Such a long history. It seems a shame to see it in ruin. But, I guess not all old buildings can be saved. A lot of history resides in these abandoned walls.